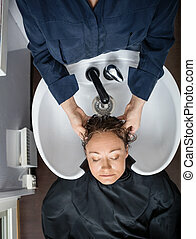 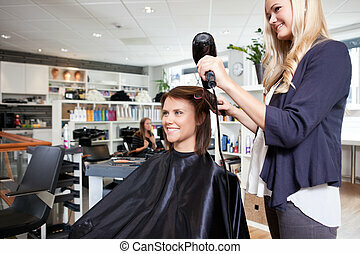 Stylist drying womans hair in beauty salon. 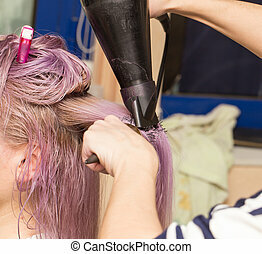 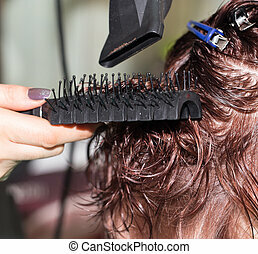 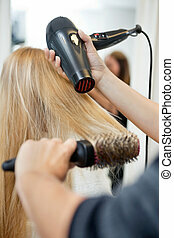 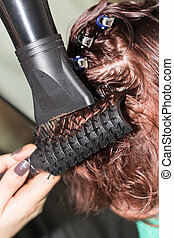 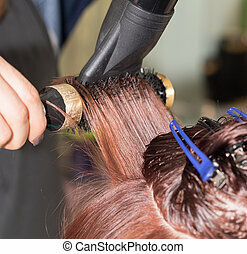 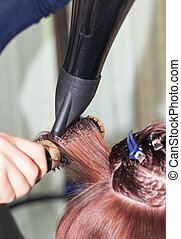 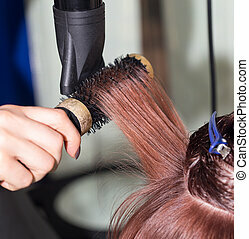 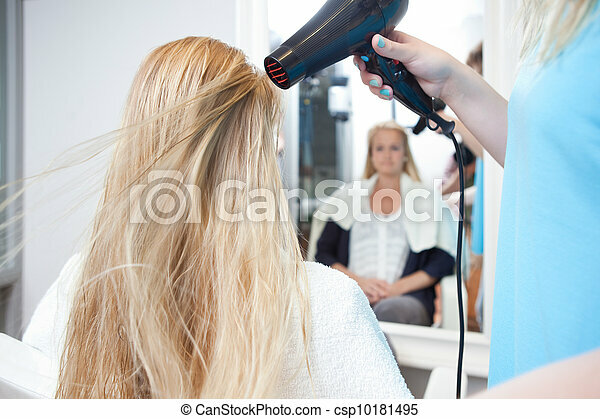 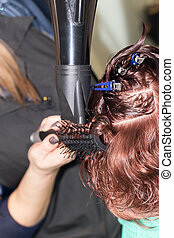 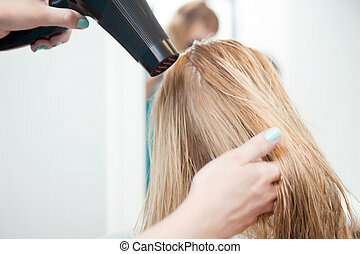 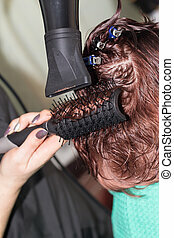 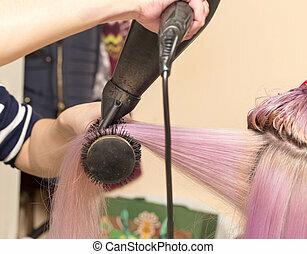 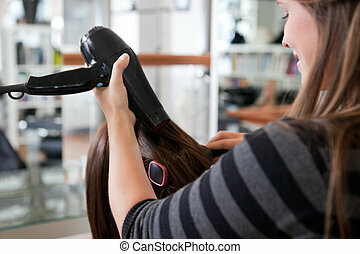 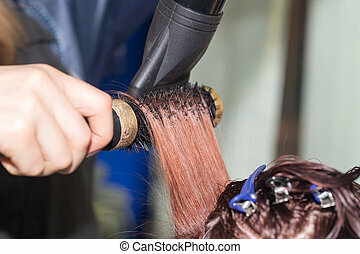 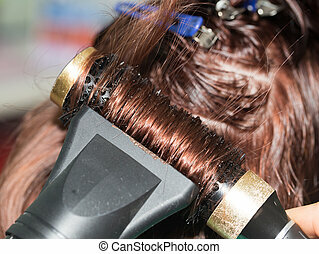 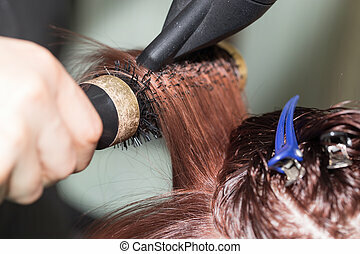 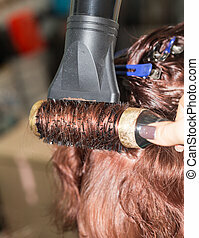 Stylist drying woman hair in beauty salon with hair blower. 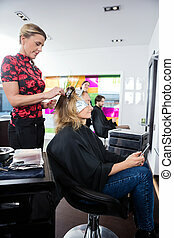 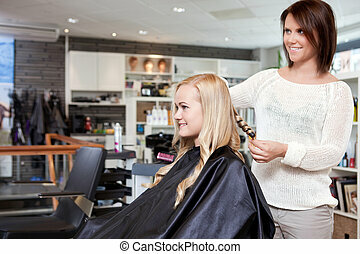 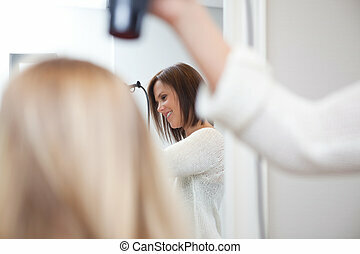 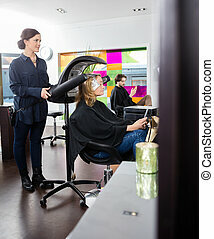 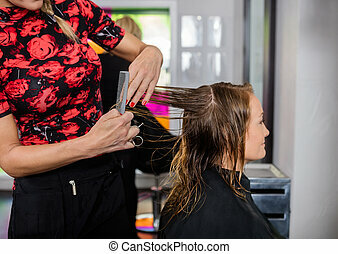 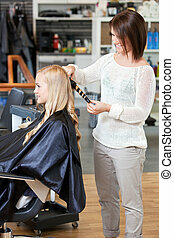 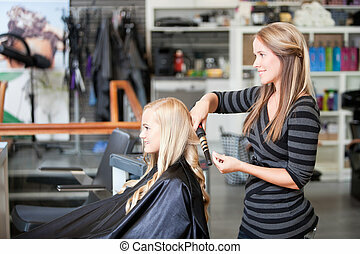 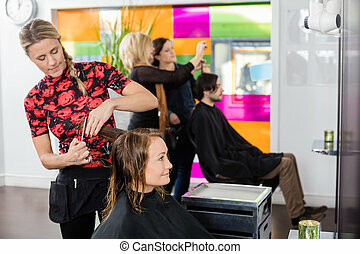 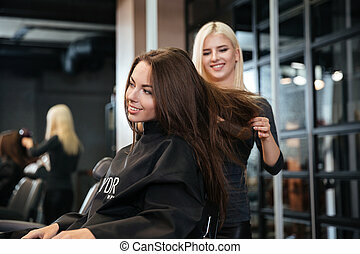 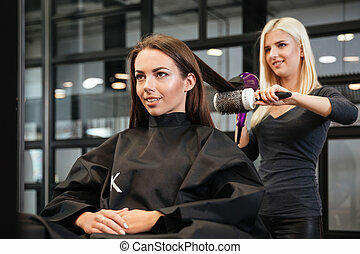 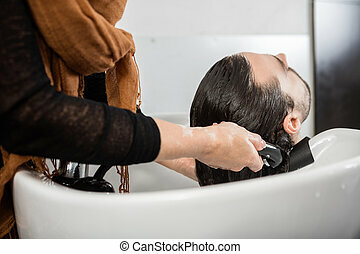 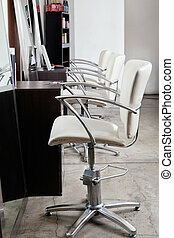 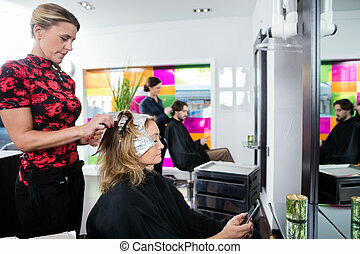 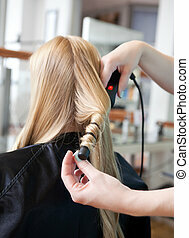 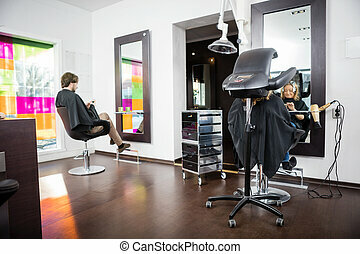 Stylist curling womans hair in beauty salon . 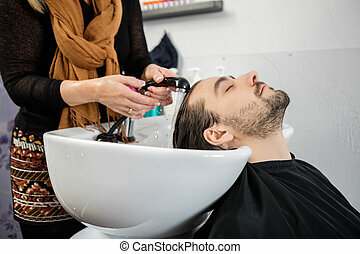 Attractive woman getting her hair washed at a beauty salon. 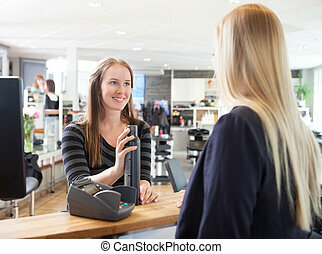 Receptionist and client in beauty salon swiping credit card.